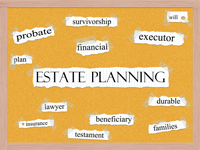 For most people, finally establishing an estate plan is a big step that they have undertaken after years of delay. A second step is making decisions regarding the executor, trustees, beneficiaries, funeral costs and debt, and a third step is actually completing the will. There is, however, a fourth step that is often skipped: placing the original will and other critical documents in a place where it can be found when it is needed. If your will can’t be found upon your death then, legally, you will have passed away intestate, i.e. without a will. If your loved ones can only locate a photocopy of your will, chances are the photocopy will be ruled invalid by the courts. This is because the courts assume that, if an original will can’t be located, the willmaker destroyed it with the intention of revoking it. Stored at the local probate court, if such service is provided. There are advantages to each choice. For many, a fireproof safe is simplest: it’s in the home, doesn’t need to leave the house and can be altered and replaced with maximum convenience. 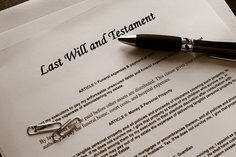 The probate court makes sense because it is the place where the last will and testament may end up when you pass away. 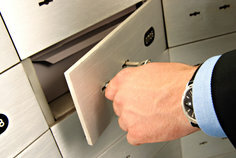 A safety deposit box also makes sense, especially if you already have one for which you’re paying. Just make sure that your executor can access it. By making sure that your original will is safe and can be found when needed, you don’t just ensure that it can be used when the allocation of your assets and debt occurs. You also ensure that disputes, confusion and disappointment don’t occur years after your death; while uncommon, in some cases, by the time the will has been discovered, the assets of the decedent have long been distributed according to intestacy laws and not the decedent’s will. Intestacy laws are essentially the “default will” that the state establishes for individuals who do not have their own estate plan. You’ve taken the trouble to protect your assets and loved ones by creating an estate plan. Don’t leave its discovery to chance. Ensure that your executor or trustee can easily and reliably find it when it comes time to put it into effect. For the past decade, estate tax laws have been a sort of political football with significant changes occurring every few years. The good news is that the 2013 tax act made the basic $5 million estate tax exemption “permanent,” but at a higher rate of 40%, though the law continues to adjust the exemption level for inflation. With this adjustment, the 2013 exclusion is $5.25 million per person ($10.5 million per married couple). The law also retained exclusion “portability” which means that if one spouse dies in 2013, the surviving spouse may pass on the unused portion of the deceased spouse’s exclusion. This portability is not automatic, however. 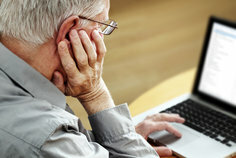 The unused portion needs to be transferred by the executor to the surviving spouse, and a special tax return must be filed within nine months. 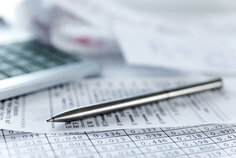 The surviving spouse does not have to pay estate taxes at this time, they only become due after both spouses have died. One way to maximize the amount you can pass on is through annual gifting while you are alive. An individual is allowed to give $14,000 each year to another individual, tax-free. If you give more than that, it will reduce your basic lifetime exclusion. So, if you give a child $50,000 this year, your basic $5.25 million exclusion will be reduced by $36,000 at the time of your death. You can gift as much as your full $5.25 million exclusion before incurring taxes, although doing so would “exhaust” your estate tax exemption at death. Gift tax rates were raised to 40% in 2013 and are paid by the giver, not the recipient.